Food Network is proud to be the National Media Sponsor of Taste of the Nation and support No Kid Hungry’s mission to end childhood hunger in America. 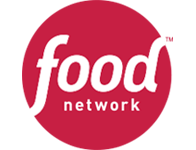 Food Network is helping amplifying the important cause by bringing the message home to its millions of viewers. Beyond supporting Taste of the Nation events, Food Network is helping raise awareness through public service announcements with its popular chefs and on-the-ground employee volunteerism.